Lebanon may not be on your culinary school radar, but with the addition of a Le Cordon Bleu campus in Jounieh, outside Beirut, the country’s gastronomic reputation - and potential for growing your career, have become established entries within the international culinary community. 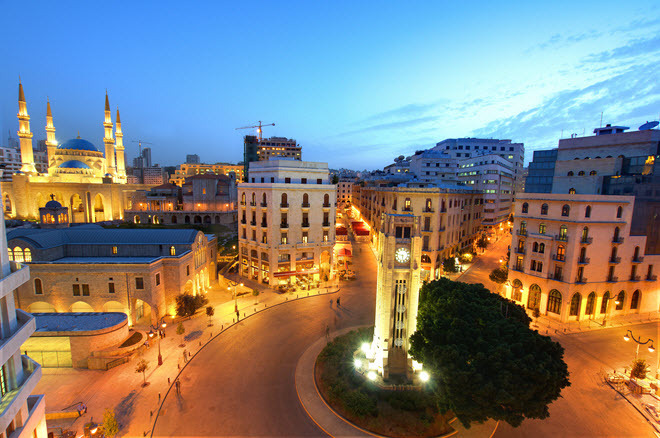 Beirut is a leading educational hub in the region, and provides the best bet for a Lebanese culinary education. Unique cuisine is the order of the day for students lucky enough to receive training in cooking traditions that are as old as civilization itself. The global culinary marketplace makes Lebanese food accessible to American and European chefs within their home countries, but exposure to authentic Middle Eastern technique is only possible at the source of these Mediterranean dishes. Kibbbeh is finely minced lamb or beef, infused with spices and herbs before being baked in traditional Lebanese dough. Kibbeh is sometimes eaten raw. 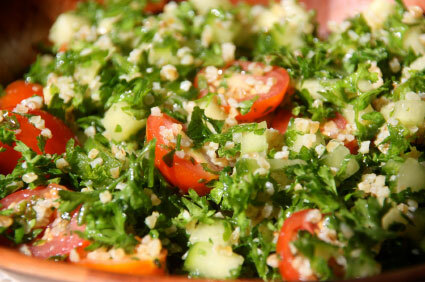 Tabbouleh (pictured) combines bulgur wheat with fresh tomatoes and cucumbers, in a lemon and mint dressing. Hummus has become a popular menu entry for vegetarian Americans. Ground chickpeas are blended with lemon and garlic before tahini and oil are added. Tahini is sesame paste used in Lebanese cooking. Mortar and pestle were traditionally used to create this piquant flavorant. Sample from local Lebanese menus when you can, and consider a mini-course in Middle Eastern cooking from an independent cookery school near you. Norma's Lebanese Foods - Sydney – Cooking classes and clearinghouse for Lebanese recipes and culture. Samara Cuisine –London – Learn authentic preparations in a curriculum that tackles slow-cooked Tagine, and various stuffed date interpretations. Barbara Massaad – Dedicated to preserving Mediterranean cooking traditions and inspiring adventurous eating through her Lebanese food blog, Massaad has written two books on the subject of Lebanese cooking. Is Study in Lebanon Safe? For U.S. travelers, Lebanon remains high on the State Department’s warning list. Student stays and any travel in the Middle East should be taken seriously - warnings heeded. Political and social conditions can change rapidly; especially for visitors. This is a turbulent area of the world, and your chef’s education should not put you at risk. That said, Lebanon is rich in both culture and cuisine—the very reason Le Cordon Bleu established an international campus near Beirut. The country is a destination for millions of visitors each year. And a perennial influx of business travelers from across the globe fuels a thriving hospitality and food service industry. Le Cordon Bleu Beirut establishes Lebanon as a leader in the international hospitality and culinary world. This distinguished cooking institute draws from the original Parisian curriculum for instruction that includes strong theoretical foundations, taught alongside technical kitchen skills. Le Cordon Bleu offers an excellent education in classical French culinary technique, including palate development and kitchen skills. Students train in a brigade-style kitchen under the guidance of accomplished French chefs. Beirut programs are assimilated into the curriculum of the Holy Spirit University and emphasize Hospitality Management at the Bachelor’s Degree level. The program’s focus is international in scope, offering two unique specialties; Bachelor’s of Business Administration: Hotel and Resort Management, and Bachelor’s of Business Administration: Restaurant and Catering. The growing worldwide demand for managers at hotels, convention centers, and resorts draws from graduates who are prepared for work in sales, catering, food and beverage, consulting or human resources. Advanced studies require mastery of important business disciplines like finance, human resource management, marketing, and information technology. Le Cordon Bleu provides hospitality industry business training, through partnerships with leading Lebanon universities that have established business programs.